Denizli Municipality got together theatergoers with ‘Offside Osman’ theater play on the weekend. 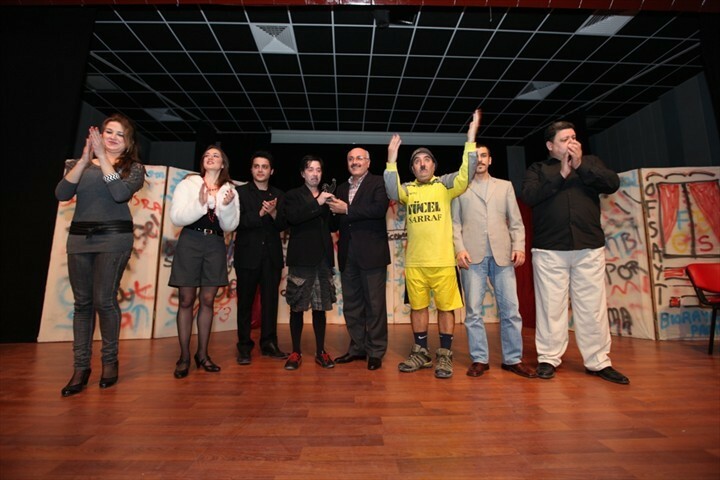 Denizli Municipality got together theatergoers with ‘Offside Osman’ theater play on the weekend. The play was staged free of charge for ‘Youth Denizli’ members during daytime session and in the evening for all citizens. 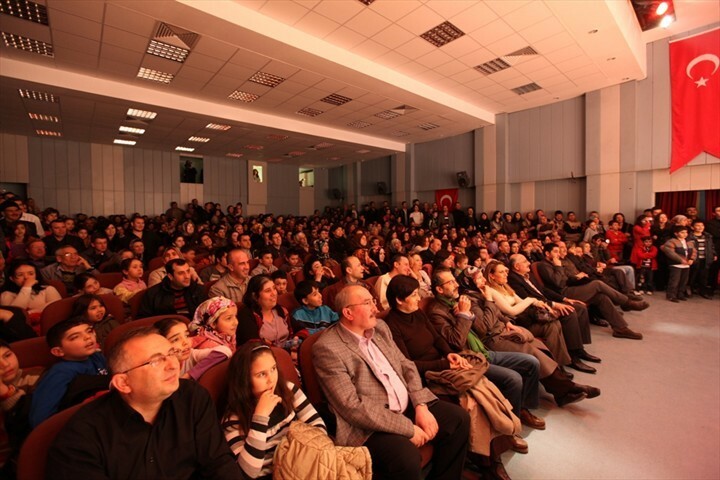 The artists of Osman Cavcı Theatre staged the play at Çatalçeşme Theatre Room. Şamil Çınar deputy mayor, Sezai Günalp Council Member, Hüdaverdi Otaklı Director of Cultural and Social Affairs and many guests participated at evening show. The play which was in comedy style about football players, referees and managers amused viewers for a long time and they had spent a pleasant evening. Kamil Zaim, İlker Görkem, Sinem Akyüz, İnci Erok and Yasin Özüarap shared the major roles with Osman Cavcı the famous theater and film artist. Osman Cavcı stated that theatre is the mirror of societies culture and it's the hidden force which provides development of society culture. TV programs and computers estrange people from real theater arts. We as people who live and perpetuate on the stage need only the applauses from viewers. We stage our plays at different points in Turkey. Thanks to everyone who contributed in arranging for our play to take stage here. At the end of the play Şamil Çınar congratulated all artist for their performance.